NetGuardians Academy organizes four training sessions this year at our headquartersin Yverdon-les-Bains, Switzerland. 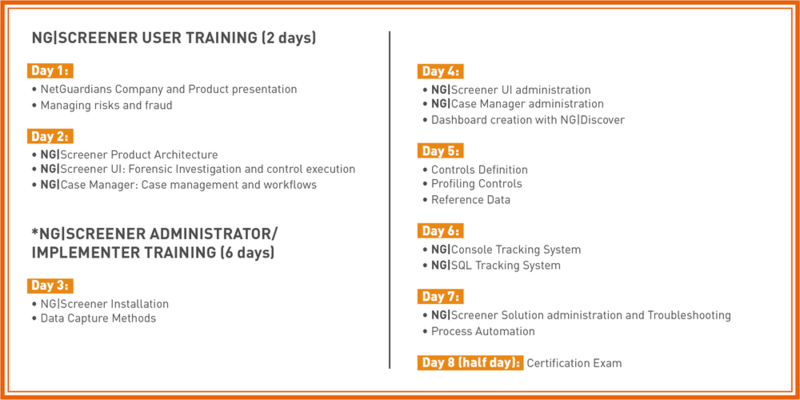 This training will be composed of 2 days of NG|Screener User Training (Pre-sales training), 5 days of NG|Screener Administrator Training, and ½ day for certification exam (for those that have taken the full training). *Pre-sales training could be taken separately and it is mandatory for following Administrator training.